These Activity Letter Crowns are a great supplement to the Alphabet Letter Learning Pack Set! These crowns feature the cute graphics used throughout the Alphabet Letter learning series & offer little ones a variety of ways to have fun exploring each letter of the alphabet while practicing a variety of fine motor skills! If you have a little who is beginning to recognize letters and their sounds or are a teacher with a class full of little ones eager to learn, these Phonics Letter Crowns will help make learning fun for the little one(s) in your life! This set includes 105 pages! Each letter includes two pages of interactive fun for each crown. The crowns are also separated into two color options - pink & blue. Simply choose the color set you prefer prior to printing! 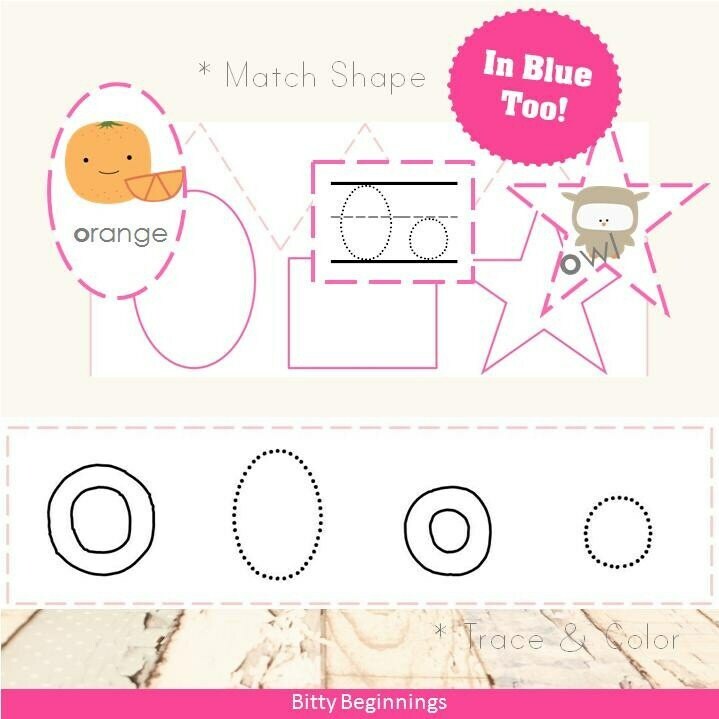 Encourage little ones to trace & color the letters! Then, depending on scissor skills, cut along the dotted lines to create the crown template (3 pieces). Proceed to cut along the dotted lined shapes. Once the pieces are cut out, encourage little ones to match and glue the shapes onto the crown. Create crown!